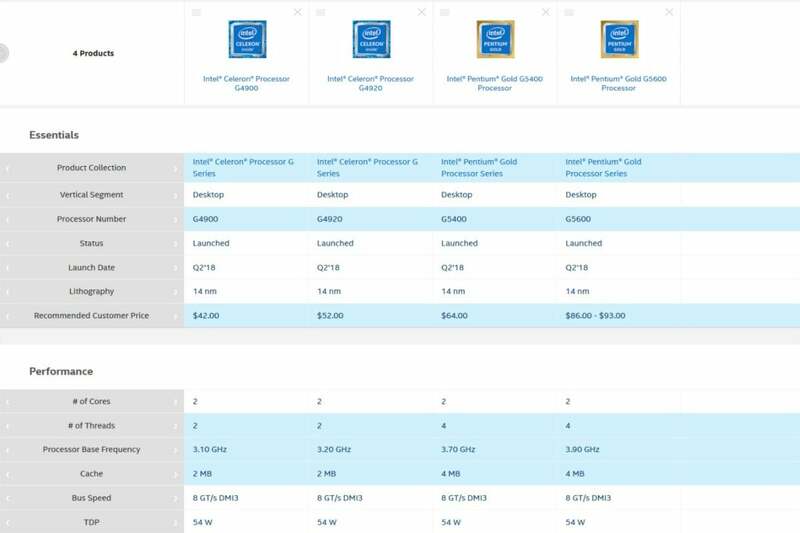 Intel quietly rolls out a four-pack of cheap 8th gen Coffee Lake chips. Fear not, budget builders: Intel is leaving room on the Coffee Lake CPU train for you, too. Pentium Gold G5600: For $86 you get two cores with Hyper-Threading, a 3.9GHz clock speed, 4MB of cache, and Intel UHD 630 graphics. 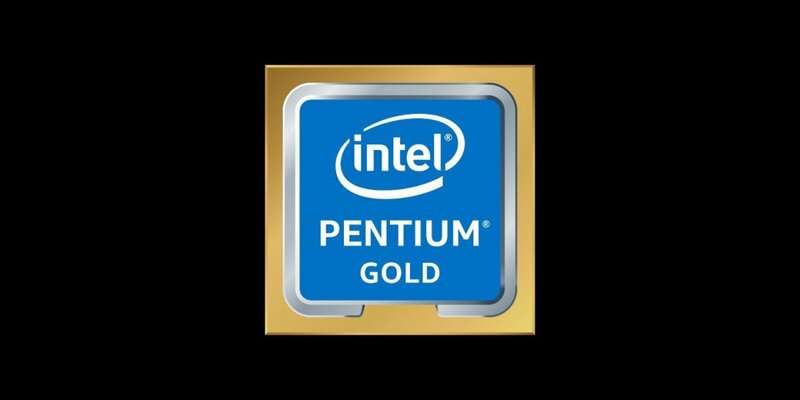 Pentium Gold G5400: For $64 you get two cores with Hyper-Threading, a 3.7GHz clock, 2MB of cache, and Intel UHD 610 graphics. Celeron G4920: For $52 you get two cores without Hyper-Threading, a 3.2GHz clock, 2MB of cache, and UHD 610 graphics. Celeron G4900: For $42, you get two cores without Hyper-Threading, a 3.1GHz clock, 2MB of cache, and UHD 610 graphics. All of the CPUs are LGA1151-based chips and are rated at 54 watts. All support up to 64GB of DDR4/2400 RAM in dual-channel configurations. You should expect small performance upticks compared to the previous 7th-generation Kaby Lake low-end chips, thanks to slightly larger caches and slightly higher clocks. The Pentium Gold chips have a particular appeal for budget gaming builds, as the paring of a $64 dual-core CPU with Hyper-Threading with a $90 GPU still yields decent gaming capability. What's odd are the things left behind. None of the new Coffee Lake cheap chips support Intel's nifty Optane Memory technology, which caches a hard drive with a much faster Optane Memory module. And while the 7th-generation Pentium G4620 and 7th-generation Celeron G3950 supported Intel's Software Guard Extensions and OS guard security features, the newer chips don't.